You can tell someone outside of Texas that you live near Dallas-Fort Worth, and they’ll have an idea of what you’re talking about. Big Texas cities! Mention that it’s part of the Golden Triangle, and they might not know the third city. With more than 136,000, Denton’s might seem small compared to DFW’s 2+ million residents, but its unique character makes it stand out. If you’re looking for the balance between urban action and quiet country living, Riverside Homebuilders thinks you might want to discover the benefits of living near Denton, TX. Denton is the 26th largest city in Texas, by population, right behind Midland and Waco. Between 2010 and 2017, Denton grew 17%, from 113,383—a testament to the appeal of this rising city. The city is just 36 miles from Fort Worth, but offers its own version of city living. Denton is known for some historic places, like Courthouse-on-the-Square, which dates back to 1896. The building is listed on the National Register of Historic Places and houses a museum, but the Courthouse-on-the-Square is now judged as a thriving community hub. You can kick back and enjoy live entertainment (a Denton specialty), wander through an eclectic array of unusual shops (vintage, retro, artisan, and chic), and grab something sweet at Atomic Candy, Hypnotic Donuts, and Beth Marie’s Old Fashioned Ice Cream Soda Fountain, where you have to somehow choose from 120 flavors (we recommend one of the legendary sundaes).. Festivals and special events happen all year long here, so there’s never a dull moment on the Square. Dining is just as diverse, with mouthwatering Tex-Mex, exquisite sushi, pizza, and sports bars with the best burgers and tapas you can imagine. There’s more to Denton than the Square. The North Texas Fair and Rodeo captivates the city for 9 days every August. This venue hosts events throughout the year, supporting youth, agriculture, and the community. When the summer heat kicks in, Denton’s residents have several places to cool off. Lake Ray Roberts and Lake Lewisville, two man-made lakes that offer plenty of waterfront escapes. Music is a driving force in Denton. Rock, jazz, country, indie, blues—you name it. Any night of the week, you can choose your genre, pair it with some food and libation, and take in the Denton music scene. Roy Orbison, Don Henley, and Norah Jones came from Denton’s University of North Texas, which continues to attract promising musicians. In fact, Henley named his band after the UNT mascot. You might have heard of them: The Eagles. 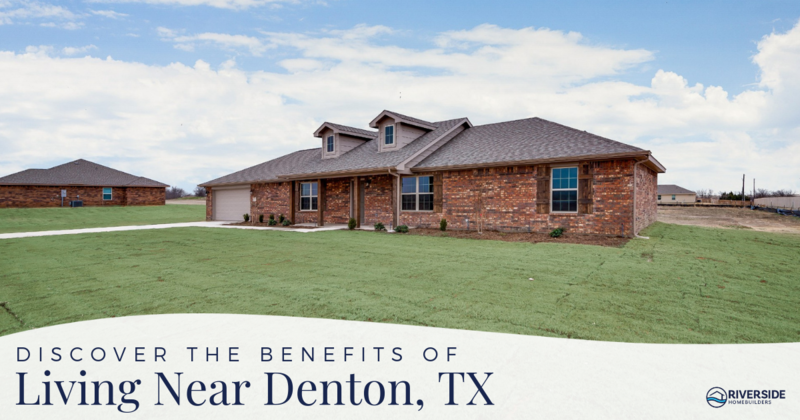 If this sounds almost perfect to you, but you want a little more space, venture a little outside of Denton. You can have a beautiful, affordable, new construction home with an acre of land, and live just outside of the city. Our newest community of single-family homes, Midway Ridge, is now underway in Ponder, just a few minutes from Denton. Take your pick of 3- and 4-bedroom floor plans, from 2,272 to 3,209 square feet of indoor living space. Each home is built on a one-acre homesite. We include an open concept floor plan, engineered wood floor in the family room, stainless steel Frigidaire appliances, fireplace, foam insulation, covered patio, vaulted ceiling, USB outlets, and Riverside Homebuilders’ Simply Connected Home and Security Package. Smart, stylish, safe, and so much room! The exterior is just as thoughtfully planned. Riverside Homebuilders uses buff mortar for a brick and stone facade to complement the natural landscapes surrounding each homesite. We have 6 homes now under construction at Midway Ridge. Just beyond Midway Ridge, Decatur, TX, is another small city with big charm and easy access to Denton. Singletree Estates and Hillcrest Meadows are located in scenic areas of Decatur, near the lakes and rolling hills. We’re building single-family homes here with eye-catching exteriors and floor plans that give you the space and contemporary style you’re looking for. Sanger is only 15 miles from Denton. Although it’s a short drive, you’ll feel far away from the cityscape. Sanger is a town of only 7,000 people, and Riverside Homebuilders plans to welcome more families here with the 8 homes we plan to build in the Sendero community. Three of them are move-in ready right now: 12525 Metz Road, 12555 Metz Road, and 12585 Metz Road. One of these homes could be yours soon! 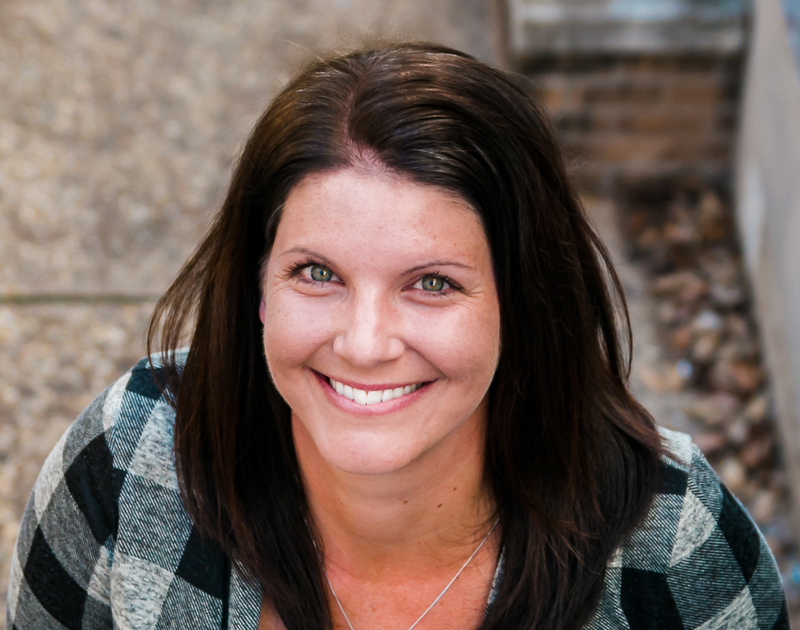 Contact Rachel at Riverside Homebuilders now and you have time to make your interior design choices on homes under construction. She can also show you more homes, more options, and more hometowns.